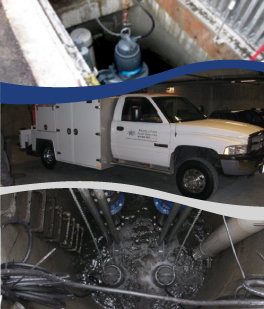 Revolution Pump Service Ltd. has over 15 years experience servicing, installing and repairing sewage, effluent and storm water and water feature pump systems in the Lower Mainland and surrounding areas. With our extensive history in emergency repairs, scheduled maintenance service inspections and new or replacement installations, rest assured your project will be completed in a timely and effective manner - the first time. We are proud to offer 24-hour field service – no matter what your location or problem. We also provide 24-hour phone support until someone is able to attend the required location. We understand that price, quality and service are important and we strive to achieve excellence in client service. No matter the time, location or problem, you can relax knowing your project is being handled by experienced professionals that have your satisfaction as their upmost concern.